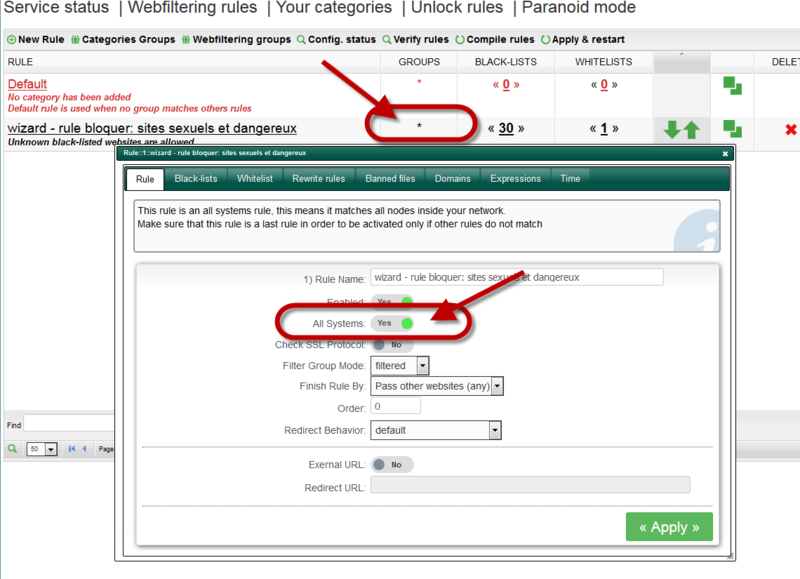 On a web filtering rule option, sometimes you cannot see the group tab. If you see this rule there are 2 identifiers that shows you this behavior. The star in the rule row indicates that everything is matched. The All Systems option is enabled that means everything will matches this rule. Just turn OFF the All Systems option to retrieve the group section. ← ACLs: Using Parent Proxies with Active Directory groups.